Forgery is defined under P.C. 470 which provides, “Every person who, with the intent to defraud, knowing that he or she has no authority to do so, signs the name of antoher person or of a fictitious person..” The importance under this code section is determining whether one harbored the specific intent to defraud, if not, then one cannot be convicted of this offense. Forgery can some within the context of nearly everything – e.g., real estate transactions, disbursement of assets, checks, etc. If the amount of the forged item is under $950, pursuant to proposition 47, a person will be charged with a misdemeanor. 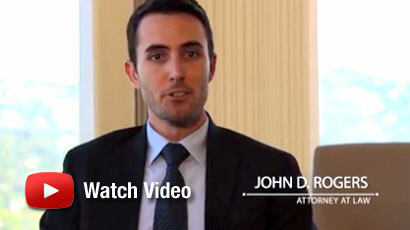 Los Angeles Criminal Defense & Forgery Lawyer John Rogers is committed to providing each client aggressively, affordable, and trusted legal representation. Whether you’re charged with a minor offense or a serious felony, Mr. Rogers makes himself available 24 hours a day, 7 days a week and works tirelessly to achieve the best possible result for each client. The best approach to defeating forgery charges is early criminal defense attorney intervention, contact Mr. Rogers immediately. What are the Legal Defenses to Forgery? In order for someone to be found guilty of forgery, they must have the specific intent to defraud. Moreover, someone intends to defraud someone when they have the specific intent to deceive. It is not necessary that another person is actually defrauded. Additionally, someone may have had the actual authority or consent by a person to sign on their behalf. Furthermore, one is not guilty of forgery if they were mentally induced to sign something they did not know the repercussions. What is the Punishment for Forgery? Forgery is categorized as a “wobbler” offense which means the prosecution holds the discretion on whether to charge someone with forgery as a felony or misdemeanor. If one is convicted of forgery as a misdemeanor, then they face a maximum sentence of one year in the county jail. If convicted of forgery as to a felony, sentencing ranges from 16 months, 2, or 3 years in the state prison. Fortunately, if convicted of a felony, one may be eligible to reduce their felony to a misdemeanor upon successful completion of probation. In California, a forgery conviction is eligible to be expunged so long as certain requirements have been fulfilled. Expunging your record is governed under California P.C. 1203.4 where your finding of guilt is set aside the conviction is dismissed. Contact Los Angeles Criminal Defense & Forgery Attorney John Rogers for more information regarding your eligibility and process to expunge your criminal record. If you or a loved one has been arrested, charged, or is under investigation for forgery, contact Los Angeles Criminal Defense & Forgery Attorney John Rogers at the Law Offices of John D. Rogers located at 1801 Century Park East, 24th Floor, Los Angeles, CA 90067. 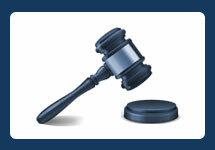 Call 877-888-9820 now for a free confidential consultation concerning your rights and defenses.